All new items have been added to the GFX Generators, which you can use to make graphics like the one at the top of this post! Just in case you missed the post from earlier this week, sale prices are back for line art and pixel art prints, and commissions are back on, too! 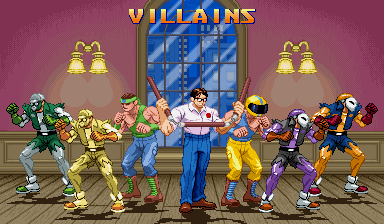 Some of the sprites in this update are characters that I’ve wanted to sprite for years, but didn’t feel I was ready to do them justice until now. Each sprite was a sacrifice, they took hard work, they’re a way of liiiiiiiiiiiiife! All of these things have been added to the main GFX Generator where you can make fake screenshots like the one at the top of this update post! 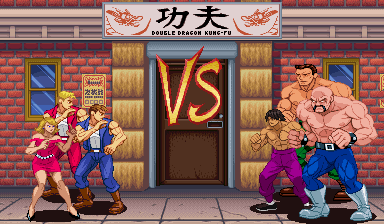 In honor of Double Dragon IV‘s release, today’s update is (almost) all Double Dragon! 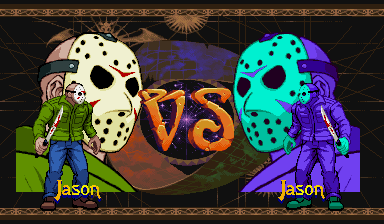 Don’t worry, the guest star will fit right in. 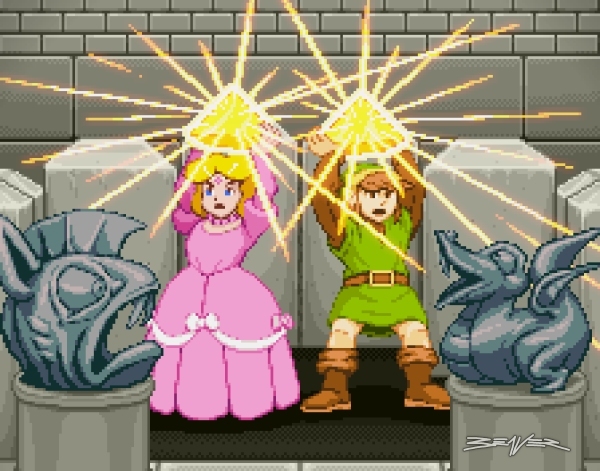 – Double Dragon: Billy and Jimmy Lee (Super Double Dragon fight stance), Marian (D.D.1 outfit, D.D. 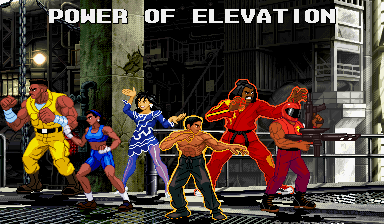 Neo Geo stance), Abobo (classic, redone), Chin Taimei (NES outfit, redone), Abore (NES look). Mini-Logos: Renegade added to Technos section. 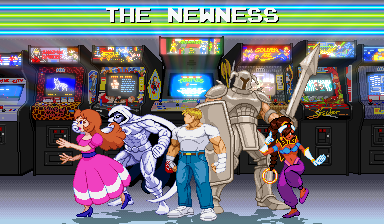 All newness has been added to the GFX Generators, and so has a remake of the area outside the Dojo from Double Dragon III (NES). 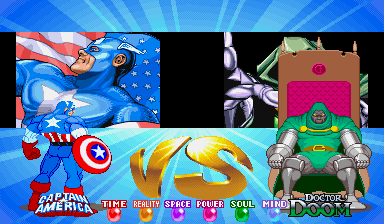 I also made adjustments to the engine that finally let me fix the X-Men Vs. screen name alignment for the second player. 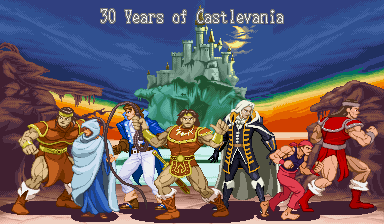 Don’t worry, there will be more Double Dragon stuff hitting the site later this year, because you know I’ve got to celebrate the 30th anniversary year. 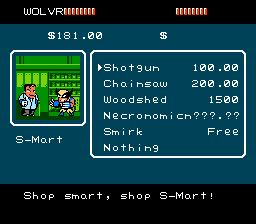 If you follow me on Twitter or Tumblr, you might have seen me post about opening up some sprite commission slots last week. All four commission slots were taken before I could post in other places and it went so well (and I have so few work hours at the day job right now) that I’ve opened four commission slots again! Please see the details on the Illmosis site’s commissions page if you’re interested! edit: removed the Twitch video as it was causing the page to act funky. Will replace A.S.A.P. 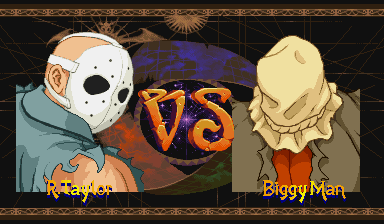 I’m kicking off this year with a couple of beat ’em up series that didn’t get much attention here last year, and that’s by accident. – Rushing Beat: new scratch-made sprites of Rick Norton, Douglas Bild, Wendy Milan, Lord J, Dieter/Iceman and some drones from the first two Rushing Beat games start this gallery off on the good foot. 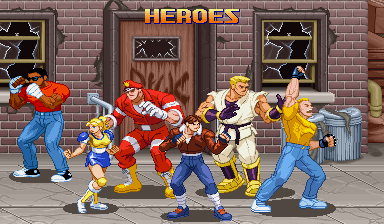 – Crime Fighters: new scratch-made sprites of Blood and Boomer replace their old Capcom-based sprite edits, and so do new sprites of a Vendetta/Crime Fighters 2 thug. 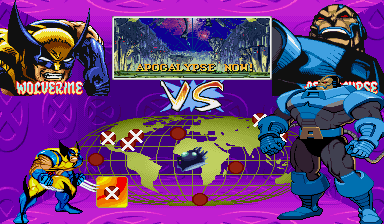 All of that has been added to the main GFX Generator, along with a new (and more accurate) version of the X-Men Vs. Screen. There are now options to choose the stage display, including one that isn’t in CotA. A generator just for that game will be added in an X-Men-centric update later this year. As of last week (and I was told the day before our last day there), I don’t have a regular account for my day job (though I got some fill-in hours here and there), so I’m running a sale on prints in the shop until things get better. 8×10/8.5×11 prints are $5 and the 11 x 17 and 11 x 14 prints are only $8! That’s for the line art and pixel art prints, including the non game-related prints in the Illmosis shop (where you’ll find more prints). edit: Guess who showed up to the update? 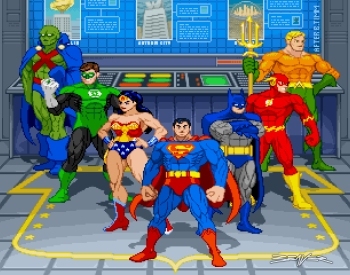 added to the Movie gallery and GFX Generator. 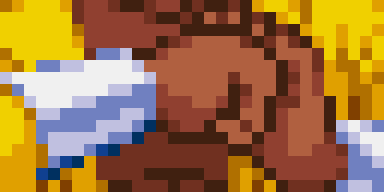 Enough progress has been made with the v.2 GFX Generator engine that I’ve put it on the site! 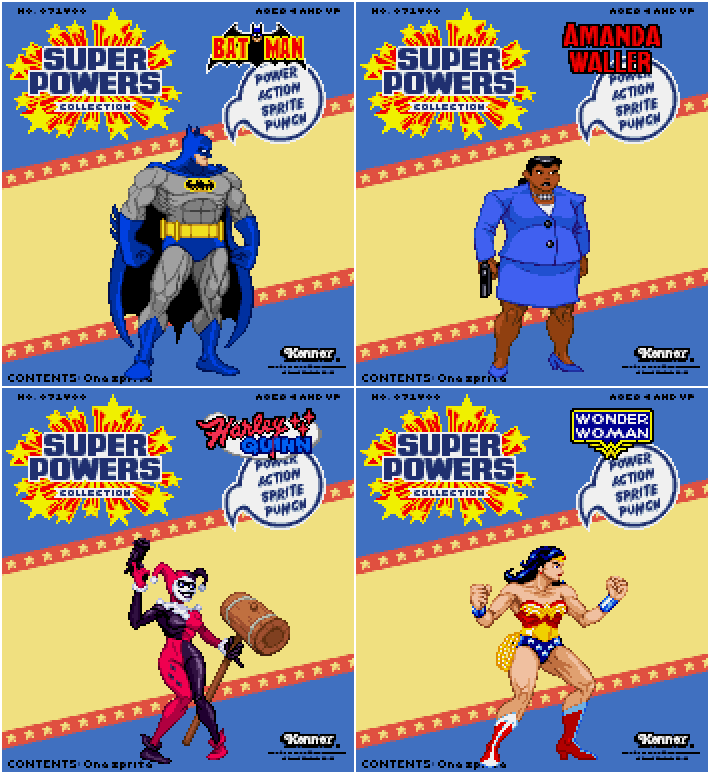 One generator page, filled with (mostly) fighting game-scale game sprites, has most of the items from both the old Vs. Maker and Group Shot generator pages. 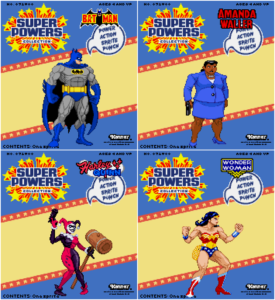 There are also separate pages for Darkstalkers 3 and Marvel Super Heroes where each has characters who are 100% compatible with those Vs. Screens. 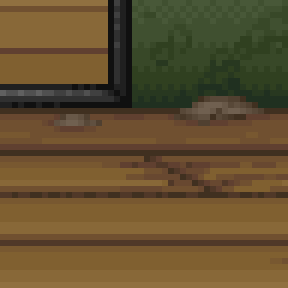 A few things (like the secondary scene options) work a bit differently than before, but most of it is there. There’s still work to do on v.2 and the older generators will stay up until all their old functions and screens can be replicated with v.2. Rewriting this engine from (nearly) the ground up is something I’ve wanted to do for a lot of years, and it took a bit over a year (in-between making things for normal site updates and other work), but it feels good to have the new generator working this much. 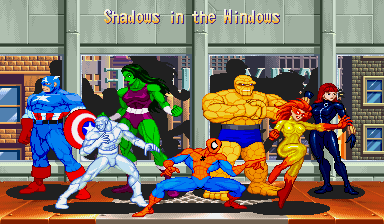 Effects like those shadows in the MSH Spider-Man stage windows were impossible with the old system (the same function can reflections there, too) and you can expect to see more effects and features added in future updates. But that’s not all I have ready for the site this weekend! 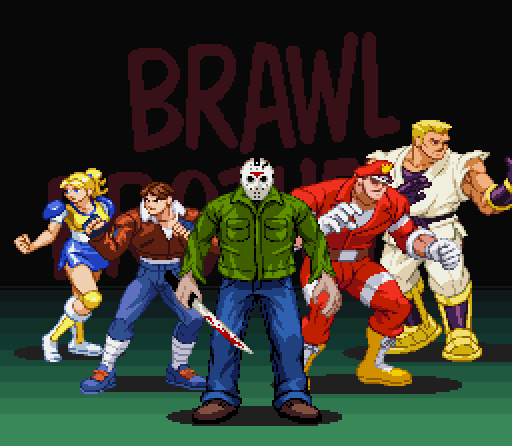 Come back tomorrow for a few new sprites of Streets of Rage/Bare Knuckle characters!